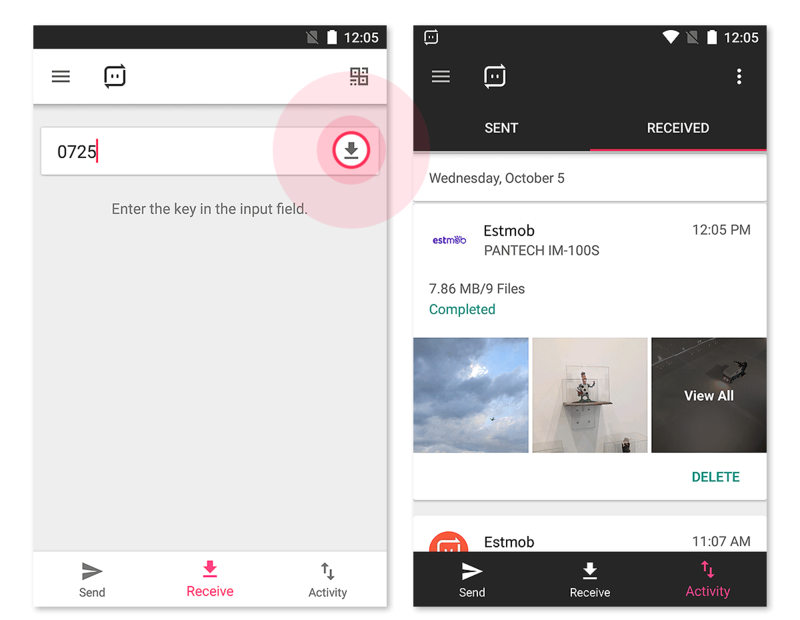 If the sender selects Wi-Fi Direct mode for Send Anywhere when sending the file, the receiver automatically receives the file through Wi-Fi Direct. This is only available between Android devices and both devices need to be in close physical proximity to use Wi-Fi Direct. 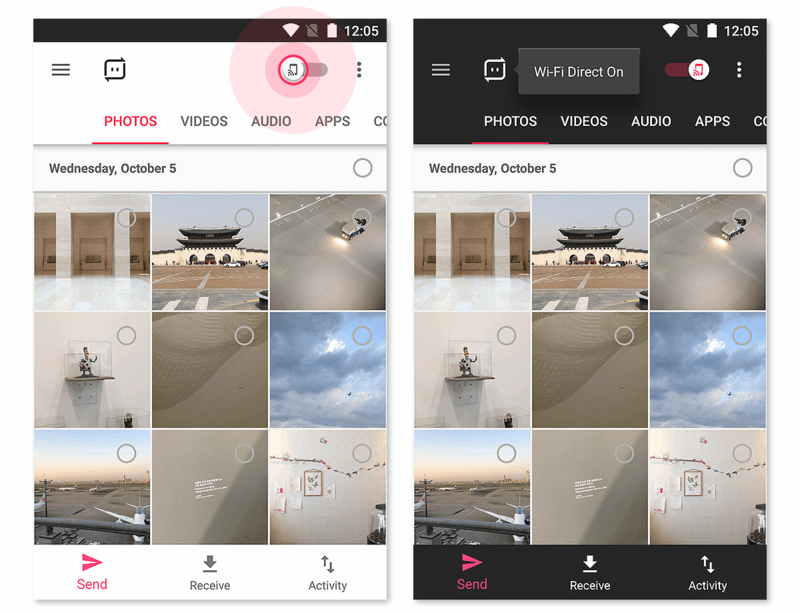 To send files in Wi-Fi Direct, set the  Wi-Fi Direct option in the upper right corner of the Main screen to ON. Select your files and hit send Send to generate the key and QR code for Wi-Fi Direct. Share the key or QR code to the person who will be receiving the files. 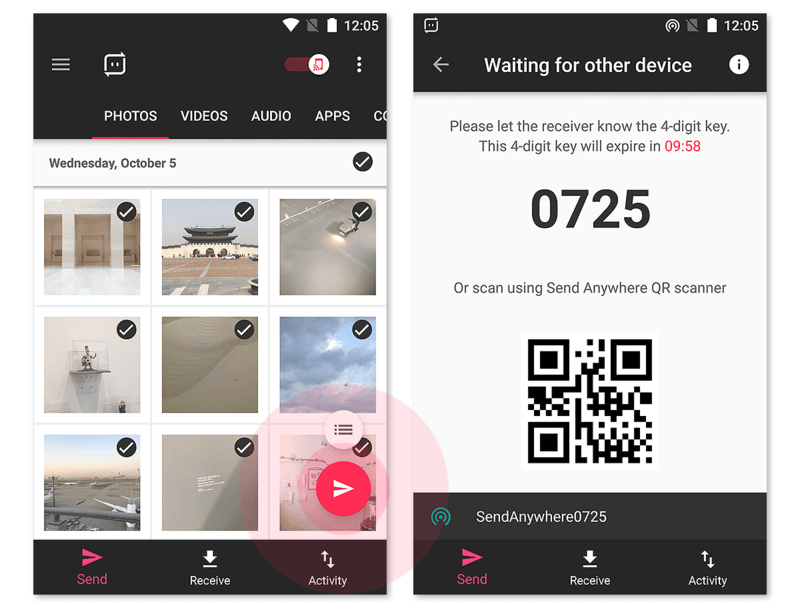 When the receiving person enters the key or scans the QR code, the files will be automatically sent in Wi-Fi Direct.